“Peggle 2”, the sequel to the number one puzzle game of 2007, is launching this year first, exclusively on Xbox One. PopCap Games, creator of some of the world’s most beloved video game franchises and a division of Electronic Arts Inc., provided the first glimpse of “Peggle 2” at gamescom this week. “Peggle 2” propels players to the peg-popping paradise of the original while delivering a host of new features and functionality. 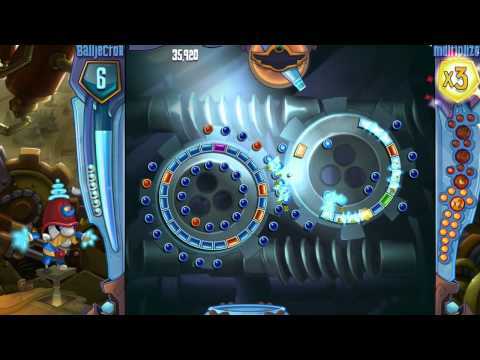 “Peggle 2” offers all-new levels, new and improved power-ups, fantastic multiplayer modes, gesture controls with Kinect for Xbox One, the ability to customize the “Peggle Masters” who host the game, and much more. Just as in the classic original, “Peggle 2” combines elements of pinball, pachinko and billiards and adds liberal doses of whimsy, fun, excitement and challenge – not to mention rainbows and a fifth of Beethoven.